democRAT brain trust Maxine Waters thinks she has the goods on the evil bankers. She is going to make sure the nation knows who these thieves are. 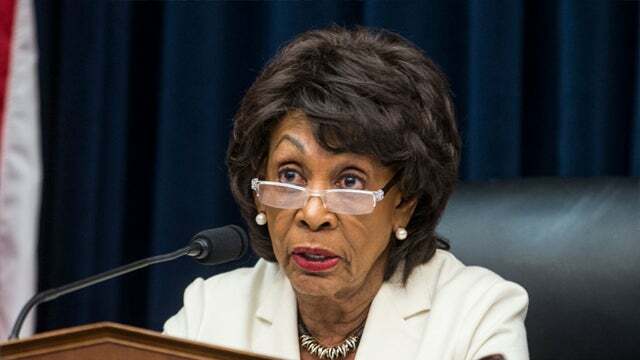 Auntie Maxine chairs the House Financial Services Committee, and she had a hearing today with the CEOs of the megabanks, the really evil banker guys. These are the guys from the megabanks, and I saw a picture of it, and they’re all white. A bunch of white privilege, white nationalist, megabank CEOs are there — and Auntie Maxine thinks she’s got them right where she wants them. She should be held on terrorisim charges for allowing these animals in our country! 196,000 new jobs just about removes any hopes that Democrats have of crashing the economy. Despite a massive effort by the left to crash the economy, the economy is still plugging along. Nonfarm payrolls expanded by 196,000 and the unemployment rate held steady at 3.8%. Wage gains fell off the recent strong pace, increasing just 0.14% for the month and 3.2% year over year, below expectations of the 3.4% pace from last month. "With a strong March employment report now in the books, we've gotten some reassurance that the labor market is still strong," said Steve Rick, chief economist at CUNA Mutual Group. "Of course, last month's nosedive was disappointing, especially after December and January had such impressive numbers despite some sizable headwinds. But a good March report shows that February was more of an outlier than a canary in the coal mine." Wage gains fell off the recent strong pace, increasing just 0.14% for the month and 3.2% year over year, below expectations of the 3.4% pace from last month. The average work week increased by 0.1 hour to 34.5 hours. While Veep, Biden meddled in Ukraine politics, extorting money and demanding their president fire the prosecutor who was investigating Burisma Holdings. Joe Biden's son was on the board of Burisma. So Trump's not the only nepotistic thug on Capitol Hill. What a surprise! On to the next hypocritical Democrat.